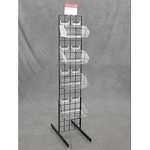 Place this Gridwall 7 Ball Waterfall accessory on your gridwalls and you are set to hang the latest fashions. 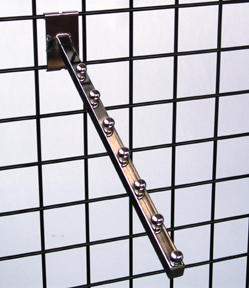 With seven balls to separate hangers you can place seven articles of clothing per waterfall arm. 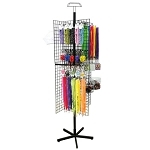 Add several and create an entire display that coordinates accessories with clothing. Order yours today! Extends Out From Grid Wall 16"